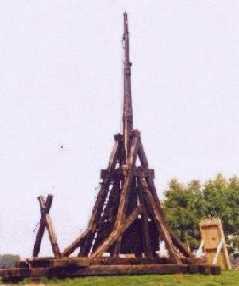 The Medieval Centre has built two very large trebuchets - this one is the smaller of the two. To date it has fired thousands of shots. The machine was used in a series of trials that were written up in Acta Archaeologica (Vol.63, 1992). At that time it had fired 120 shots. 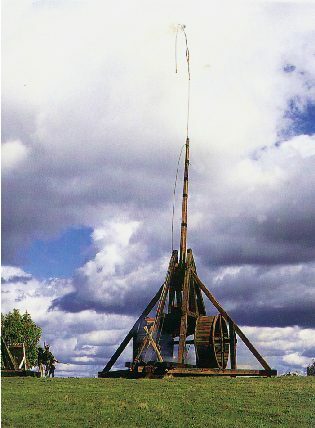 The trebuchet was built to take a ballast weight of 4000kg, although the tests were conducted using a ballast of about 2000 kilograms and projectiles of up to 50kg.  Its longest shot was with a more modest 15kg cement projectile, which it managed to throw 168 metres. Note the defensive hoarding or pavise standing in front of the siege engine. 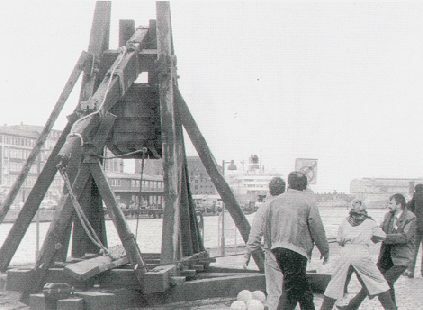 Another photo of the "little" trebuchet taken several years ago - and here it looks as if it's being operated in an "anti-shipping" role. Harbour-defense artillery, perhaps? The spherical projectile stones can be seen piled up at the rear. Shown below is the Medieval Centre's beautiful big machine. It has a ballast of 15 tonnes and is designed to throw projectiles weighing up to 300 kilos, although in routine use the same 15-20kg stones that the smaller machine throws are used. When loaded the machine weighs around 21 tonnes. 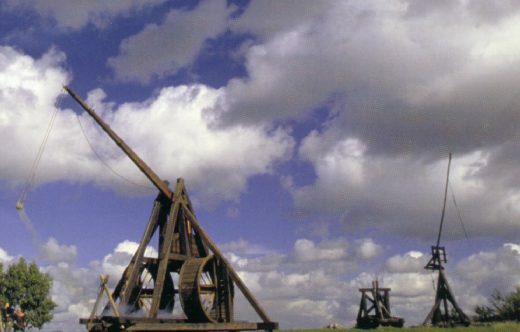 The trebuchet is built of oak and medieval craft techniques were used throughout its construction. Note the beam's construction of two halves spliced together longitudinally and bound in place with rope whipping. At the end of the beam and you can see the prong that holds the sling cord's loop. 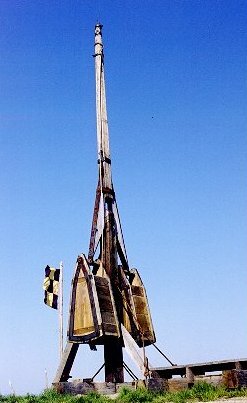 The "V"-section launch trough (whose rear end can be seen at the back of the trebuchet) is the runway that the sling holding the projectile slides along during launch. This can also be seen in the base construction photograph in the previous "Construction Techniques" section. Finally, look at the treadmill-powered winches. The use of such treadmills is shown on some historical illustrations (and it doesn't hurt that they look superb). During the summer season this machine is used almost every day, although with a reduced counterweight mass and shooting projectiles weighing about 15kg. With four people working the winches it can be loaded in about a half an hour, including strict safety procedures. Here a shot is frozen with the projectile in the long sling clear of the trough and beginning its swing around the end of the beam. 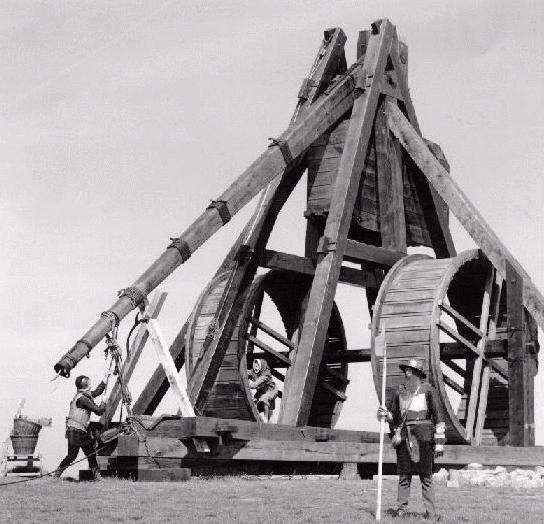 In the background the torsion-powered mangonel and a single-upright traction trebuchet can be seen. The moment just after the stone has left the sling is captured here. The projectile can be seen rising out of the pouch as the loose sling cord whips up and over. The two crew members safely off to the side at the rear of the machine (one of whom holds the trigger rope) give yet another hint of the machine's scale. This bricole (or, if you prefer, "brigola" or "biffa") is another of the centre's experiments. 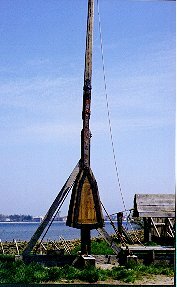 Rather than the more familiar arrangement of having the single beam and counterweight pass between two upright frames, the bricole (sometimes referred to as a "two testicled machine" in medieval writing) approaches things differently. It uses a single heavy upright post, a "Y"-shaped beam and a pair of weight boxes arranged so that they pass on each side of the post. Just what advantages this design had is a little unclear - possibly it offered more economic or faster construction based around a single post set in the ground, or perhaps having twin smaller weight boxes instead of a single large one may have made transport (and strong construction) easier. This view shows the comparatively light construction of the bricole. It seems likely that this was not a design for very large machines. The trough for the projectile in the sling extends back from the rear support of the upright post (which is, of course, in the centre of the base). This arrangement limits the sling length somewhat. Return to the Middelaldercentret index.